"The testing proved the munitions had been stuffed with chlorine and white phosphorous," says Defense spokesman. 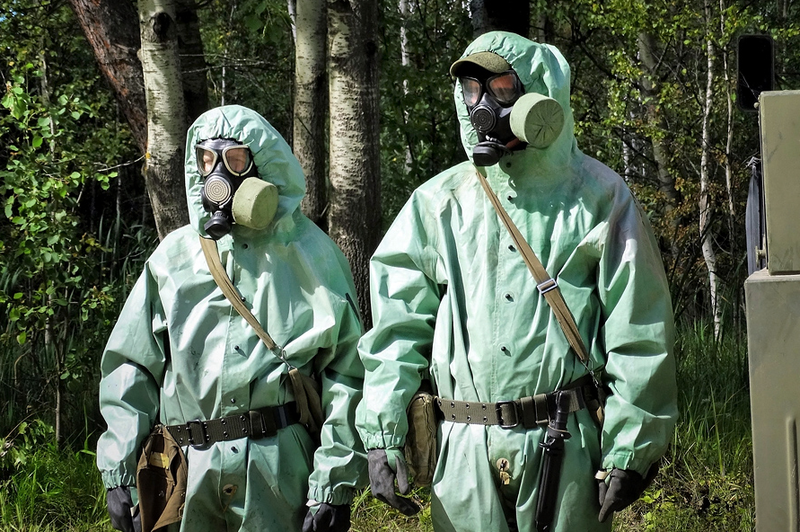 Photo: Nuclear, Biological and Chemical protection Troops. The testing proved the munitions had been stuffed with chlorine and white phosphorous, says Russian Defense Ministry spokesman. Russian military claims it have proved the use of chemical agents by Syrian militants, Gen Igor Konashenkov, the official spokesman for the Russian Defense Ministry said on Nov. 21. "Russian Defense Ministry experts did an express identification of nine samples (fragments of mines and soil from craters produced by explosions) in District 1070 on the southwestern outskirts of Aleppo," said Konashenkov. "The testing proved the munitions had been stuffed with chlorine and white phosphorous." "Also, biological samples were taken from the four Syrians who had suffered from the use of chemical weapons by the militants," Konashenkov said. "They were taken for an in-depth analysis to a specialized laboratory in Russia." Experts of the Russian Research Center for Radiation, Biological and Chemical Defense reporting to the Russian Armed Forces were continued the gathering of evidence on use of chemical weapons in Aleppo, Konashenkov said. "In spite of an invitation to do joint work, the Organization for the Prohibition of Chemical Weapons hasn’t delegated its experts to Aleppo to date," Gen Konashenkov said. "However, this doesn’t top some of its representatives from pinning labels in absentia and disregarding the facts of utilization of the chemical weapons against the peaceful residents of Aleppo."